When people think of planting trees, they usually think of either landscaping or tree farming. Landscaping is like interior decoration, but with plants. The goal is to create beautiful surroundings using plants, natural features like rocks,water, and fish and also man-made features like fences, and buildings. Landscaping usually requires a lot of care and maintenance. Tree farming usually involves planting one species of trees for the purpose of producing lumber. In the Philippines, popular species for tree farming are fast-growing exotics such as mahogany and gemelina. There are many different reforestation methods. The two that sound most interesting and promising are the Miyawaki Method and the Framework Species Method of Dr. Stephen Elliott. These two methods seem to have high success rates in short periods of time. The Framework Species Method was developed in Australia and has been used in northern Thailand since 1994. About 30 species of trees are selected as the “framework species”. The ultimate goal however is to have even more species at the site that will be brought in by the birds, insects, and animals that were attracted by the framework species. Stage 1 – there are a lot of regeneration sources at the site. 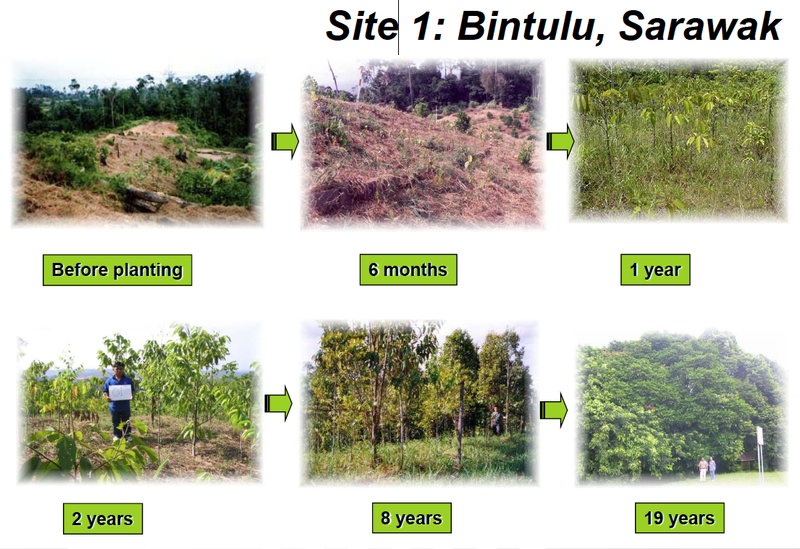 Stage 3 – weeds are dominating site, sources of natural regeneration are insufficient, fire risk is high. There are still some remnant trees and some wildlife to act as seed dispersers. Stage 4 – no trees as seed sources remaining. 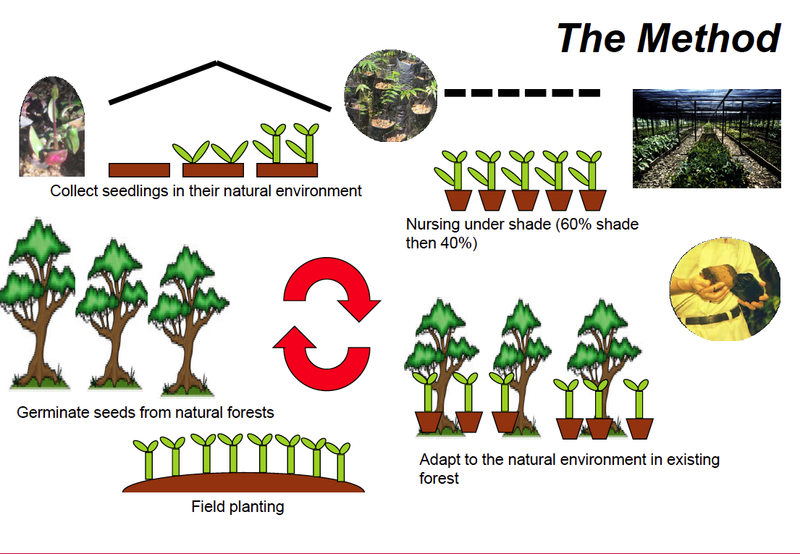 Intervention: same as Stage 3, but with more species of trees at high density, such as in the Miyawaki method. This is expensive and intensive and mainly applicable to small, urban sites. Stage 5 – even weeds have a hard time growing, soil erosion is significant. Intervention: plant whatever can grow, even exotic species to help rebuild the soil. Then, move to Stage 4 or 3. Excerpt from talk given by Dr. Steve Elliott. FORRU is the Forest Restoration Research Unit at Chiang Mai University. FORRU’s results using framework species have been very encouraging. Approximately six years after planting, the structure of the forest can almost be recovered, with stratification of large pioneers and smaller climax species. Species diversity also increases. At a demonstration site, for example, Dr. Elliott’s team planted 30 framework tree species that fostered the recruitment of an additional (non-planted) 72 tree species within 8-9 years. Moreover, within three years mammals began to return (pigs, deer) and bird diversity jumped from 30 species before planting to 87 species six years later, representing 63% of the bird community of the nearest natural forest. Additional information can be found at the FORRU website. This method would work very well if there is remaining natural forest nearby, up to 10 km of the farm. Frequent weeding is necessary for up to 2 years after planting. Trees are randomly positioned across the site. Average distance between adjacent trees is 1.8 m (about 3,086 trees per hectare!). Density can be reduced if naturally established tree seeligs are present. The Miyawaki Method of forest restoration was developed by Dr. Akira Miyawaki in the 1960’s after studying nature conservation and restoration in Germany under Professor Reinhold Tuexen. 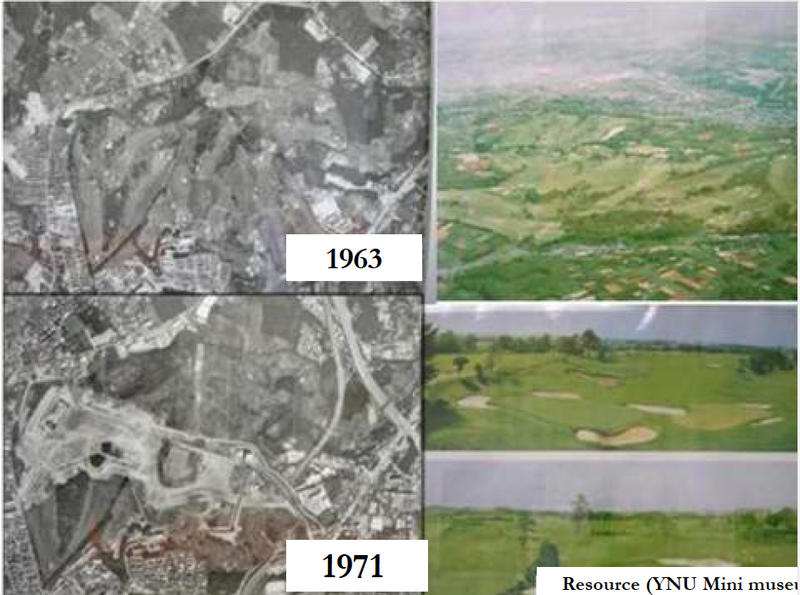 One of his early forest restoration project was at the Yokohama National University where a golf course with no intact forests was restored. The Miyawaki Method has since spread from Japan to other countries, mostly in Asia but also in Mediterranean countries. Dense Plantation – saplings are planted closely together to promote faster growth due to competition for light among the species. Recommended are 2-3 saplings per square meter or up to 12,000 saplings per hectare. In a natural forest, plants should be able to compete, edure, and co-exist. Mix of species – selection of the species to be planted is key. The ideal would be to plant the native canopy species that are most likely to have been growing naturally at the site. Try to imagine what the site was like before people came into the picture and plant those species. 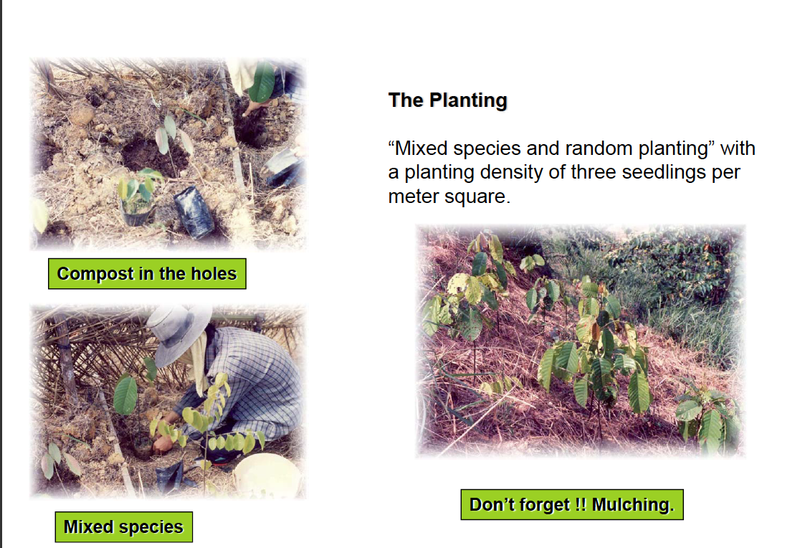 Well-prepared potted saplings – According to Dr. Miyawaki, most native species have strong tap roots. This makes them hard to transplant, so the seeds are started out in pots for easier transplanting. The saplings are ready to transplant when their roots fill up the pot and they are about 50-80 cm tall. The potted saplings are then taken to the site and left to acclimatize for up to 4 weeks before they are planted. Real vs Fake Plants – Dr. Miyawaki describes plants as either real or fake. Fake plants may look beautiful, but require a lot of care and maintenance. They are also less likely to survive storms and bad weather. Native plants are the real plants . They only require maintenance such as mulching, weeding and watering for the first two years. He said that if a plant still requires maintenance after 5 years, it is a fake plant! Since the germination potential of seeds begins to deteriorate about two weeks after they fall, they are immediately gathered and planted in seed beds. When the germinated plants have produced two to six leaves, they are transplanted from the seed beds to pots. When the plants are 30 to 50 centimeters tall and have root systems that fill the pots, the next stage is intensive, mixed planting at the rate of two to three plants per square meter. However, potted plants cannot be trans-planted immediately. 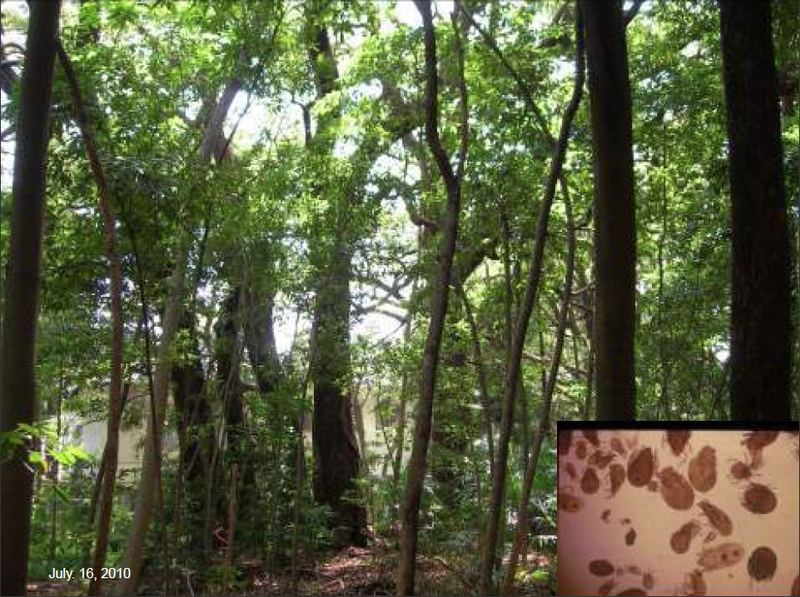 In a tropical forest, each tree over 50 meters tall is surrounded by a throng of about 1,500 descendants. The plants need to become acclimatized in this natural environment, so the pots are set out in a suitable location, such as adjacent to the existing forest, for a period of between one and four weeks, depending on the species of tree and weather conditions at the time. They are then moved to the area to be reforested and are planted in a natural fashion. Table 1 Sun demanding indigenous tree species recommended in Production, Restoration and Urban Areas with volcanic soil. 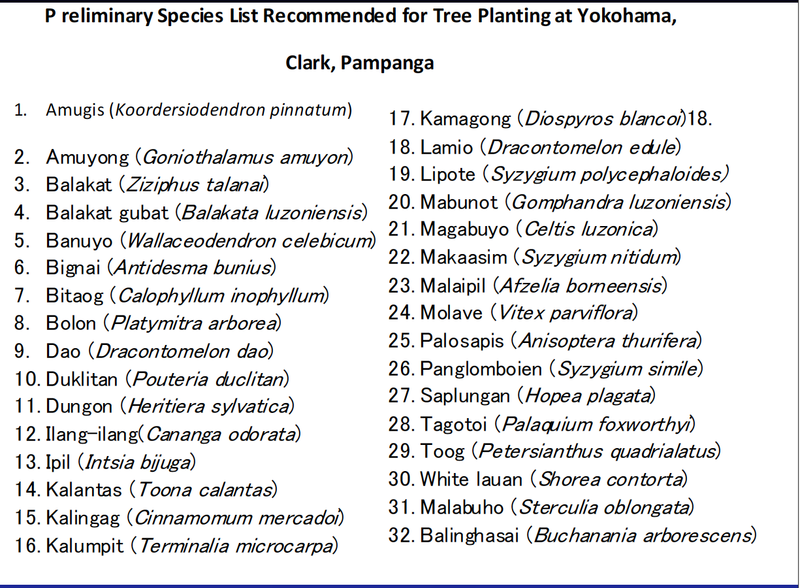 Table 2 Shade tolerant local forest tree species recommended in Production, Restoration and Urban Areas with volcanic soils. Table 3 Sun demanding forest tree species that efficiently shade out weeds if planted closely. Table 4 Sun demanding forest tree species recommended in limestone areas. Table 5 Indigenous forest trees recommended for habitat restoration/wildlife conservation with reproductive parts eaten by some animals based on field observations. Thank you Lory! I hadn’t heard of Pacing Milan until you mentioned him. Wow, what I’ve read so far looks very interesting! I will read up some more. Thanks!